The initial idea of selling art books and zines emerged about 2 years ago, stemming from my passion for printed matters and reading. Having launched three themes focusing solely on products, it seems like a change of direction to sell books, magazines and zines. Yet I think this change is necessary for the company to evolve. Since our launch 5 years ago, I felt that we have become more of a shop than a platform. My wish is that the new theme and changes to the website will enhance the user experience and encourage users to learn more about the artists/illustrators/designers behind the publications or products. In recent years, independent publishing seems to be making a comeback. We are seeing a new range of indie aesthetic-driven lifestyle/art/design/craft/food magazines like Kinfolk, Cereal, Delayed Gratification, Dirty furniture, Oh comely, Hole & Corner, Intern, Flaneur, Toilet paper... the list goes on. The same trend is happening in Asia, indie magazines like 'Science of secondary' by Atelier Hoko from Singapore, Design Anthology from Hong Kong, White Fungus from Taiwan and IDEA from Japan are all getting distributed outside of Asia. Many of these magazines showcase bold/conceptual photography, playful illustrations, interesting writings on niche topics and crucially, the standard of printing and paper is much higher than the ones we normally see on the shelves of newsagents. If you think Monocle is expensive, well, it isn't anymore. Yet these pricey indie magazines are gaining followers because of their quality and unconventional subject matter. One of my favourite magazine is Uppercase from Canada and it is retailed at £14 here, which I think is really expensive for a magazine! I also like Print isn't dead (£10) from UK, the annual FUKT from Germany and the biannual Weapons of Reasons (free/£6) from the UK. Aside from magazines, I also noticed a thriving fanzine/zine market during my travels to Asia in recent years. 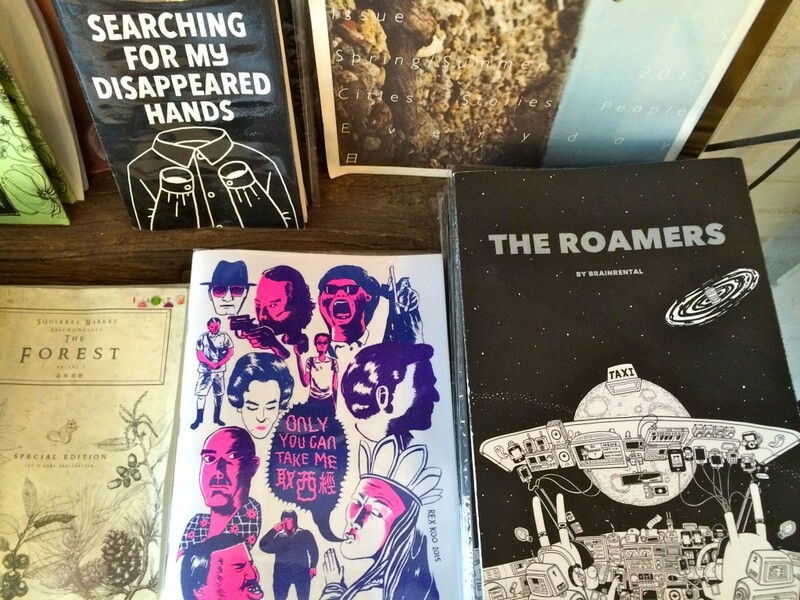 Artists, illustrators, designers, photographers and independent press studios have turned to self-publishing, and their work can be found in independent book shops, galleries and local zine markets. Earlier this year, I spent some time in Hong Kong, Taipei and Berlin seeking out small independent book/zine shops for research and inspiration. It was an utterly rewarding experience because everyone I contacted was very supportive and encouraging. Since the zine market is not highly profitable, most zine-makers are passion-driven, thus it is a close-knit community. In Hong Kong, I had the opportunity to meet with independent booksellers from Book B and Open Quote, and other local illustrators/artists like Kylie Chan, Gabrielle Tam aka Onion Peterman, Wong Sze Chit, Luna Ng, Kevin Leung from Brainrental. I felt particularly positive after meeting with artists/illustrators, and I wanted to use our platform to promote them as well as other up and coming illustrators/artists/zine-makers in the region. Back in London, I visited the East London Comic Arts Festival (you can read my blog entry here) and I came across London/Hong Kong-based illustrator Charlene Man. Charlene's colourful and playful zines caught my eye, and although I didn't talk to her, I did get her contact for future reference. Eventually I emailed her and asked her if she was interested in collaborating with us to create an one-off illustration for our new home page. She told me about her upcoming exhibitions in Japan and Hong Kong, but she said she was interested and could work on this before her trip to Asia. We arranged to meet in Shoreditch, had some vegetarian lunch followed by coffee afterwards. We brainstormed and then chatted about work, family and travel. The meeting was casual and spontaneous, and I really enjoyed spending the day with her. Initially we weren't sure whether the interactive idea would work or not, and I had to consult the IT guys to see if it was feasible. We thought we would give it a go, and if all things fail, we would make some adjustments to the work. Luckily, everything went smoothly and we were all pleased with the result. Spending the last eight months researching and building a collection was rather bumpy, but I am glad that we finally were able to launch the new theme/collection before Christmas. 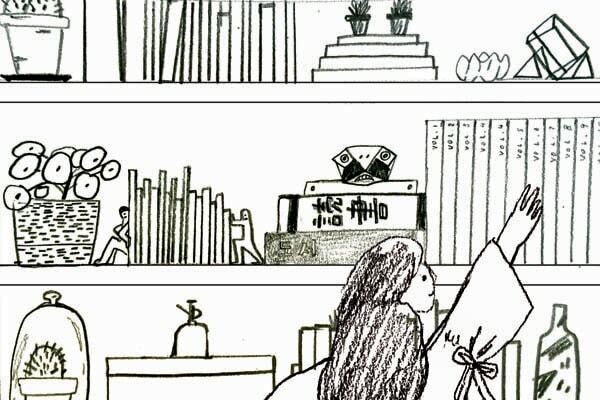 I sincerely hope that we can continue to introduce more artists and illustrators from Asia and showcase their wonderful zines and books here in the future.